Overcoming Zyrtec Withdrawal Syndrome – M changing lives with images. Although this is my photography blog but this is also where i blog about things in my life that i would like to share to the public. One such important issue is the use of antihistamine Zyrtec which i think public should know as well as what i did to overcome it. It started 2 years ago when i started having allergic itch all over my body after taking a dog out for a walk. As the pet is just 1 week old i was unsure if its caused by some ticks in the garden or something else. A visit to my local clinic suggested that it could be allergic reaction to my dog’s fur. I was then prescribe “Zyrtec”, little did i know this started me on a long and frustrating journey in recovery. After taking Zyrtec, all allergic reactions and even any common cold symptoms would disappear, in about 30 minutes. I thought i just had the best medicine ever and i do have a historical background on asthmatic attacks. During the consumption of Zyrtec, i was literally asthma free and allergic free. I finished up 2 stack of around 10-12 tablets as prescribed. However, i notice after a week of not consuming Zyrtec, suddenly i feel a sudden itch and the body would red and itchy in certain areas and then moved on to the next area. Thinking that i might have encounter allergens i just bought Zrytec off the counter and took half a tablet, 30 mins later i was once again “perfect”. But this pattern doesn’t goes away, so i decided to visit the hospital in Pantai Bangsar for a blood test for allergy. The result came back with recommendation to clear my bed as i reacted highly to dust mites, prawn and some instances of squids. I followed the order to the spot. 1. The itch is not confined to one area. It could move. Some areas like the feet are hellish as its very sensitive and you might even have difficulty driving. This informs me that its not so much of whats outside, but whats inside the body that is causing a reaction. 2. Unless Zyrtec is taken during this state, i can also feel that there is a tendency to be more “lustful”. This could be because the whole system is on hyper sensitive mode. Initially i thought this was just probably some male hormone thing, but the “lure” ceased immediately after Zyrtec is consumed. Well, i am not 18 years old, so the “drive” must be somehow caused by Zyrtec withdrawal as i have noted this situation and i personally hate getting affected by it. 3. Taking half a tablet or quarter seems to have the same effect of stopping the allergic attack. I visited Korea, Taiwan, Bangkok and i have noted down that even with perfectly clean beds and environment, the allergic will return in just 3 days or shorter after the last Zyrtec fix. This tells me something is very wrong and i google up “zyrtec” and was shocked to discover that i am not alone facing this. How in the world did Pharmacy got the approval to sell this medicine? 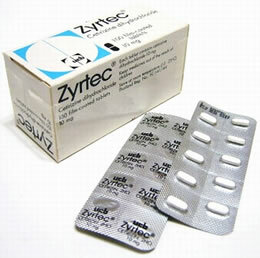 Let me just put it this way, Zyrtec withdrawal symptoms is VERY HARD to break. I have never done drugs and have often criticized addicts on why can’t they just give up drugs or even smoking. With Zyrtec withdrawal issues, i could related easily. It was hell, every 3 days a sudden attack of itch all over the body moving from hands, legs, foot to anywhere makes life just impossible to live normally. But knowing that its not allergic but caused by Zyrtec itself, i told myself i must break free from this effect. 2. I totally AVOID taking ANY ZYRTEC . 3. I tried to push the cycle as far as possible, eg 4 days, 5 days before i took the quarter Piriton. 4. Avoid taking sugar, coffee. Don’t ask me why. I notice avoiding them led to much easier to cope with allergic attack in the cycle. The first week is the worst. I thought it will never recover as every 3 days i would probably need the Piriton instead. Today its been over a month since the last Zyrtec and over 1 week since i took any Piriton. So yeah it does improves and i am glad to be Zyrtec free. Next ›What happens when a super wide is used by a portraitist? To marcus Low: How are you doing now after stopping? Are you free of itching and off drugs completely? P.S. Thanks for this post, it’s made me feel a lot more hopeful. Thanks for sharing. About 2 weeks ago I stopped taking zyrtec abruptly after a surgery. After a few days, I had incredible hives, itching, etc. I took a partial zyrtec pill and the symptoms went away. Last week again I had to take a partial pill. It has been 16 days and I can’t seem to stop itching. Ugggh! How long did it take for you to completely get free? I’ve been taking Zyrtec for over 10 years. I’m now on day 136 of withdrawal. First month was horrific. Got bearable month 2 and 3. Now into month 4 going to 5 and I’m insanely itching like the first time all over again. I’ve never been so tormented and I advise strongly against using this medication. I hope that one day I can come back and say I’m itchy free but for now I’ll be optimistic. Use other meds that provide similar relief (different composition) , that worked for me long enough to get rid of zyrtec. Avoid seafood like prawns/squids at all cost.